What’s the best career advice you have been given? I always remember being struck by a speech from the Unilever non-executive director, Ann Fudge. She said: "You can only perform at your peak when you truly love what you do." While simple, it’s that connection with the company or brand that allows you to naturally excel. Are there perceptions by and about women that frustrate you? Definitely. For example, the perception that taking time away from work – whether to have a family, for elderly care or for your own wellbeing – is the end of work opportunities. Businesses recognise valuable individuals and time away shouldn’t restrict progression. But an amount of flexibility is required from both sides. 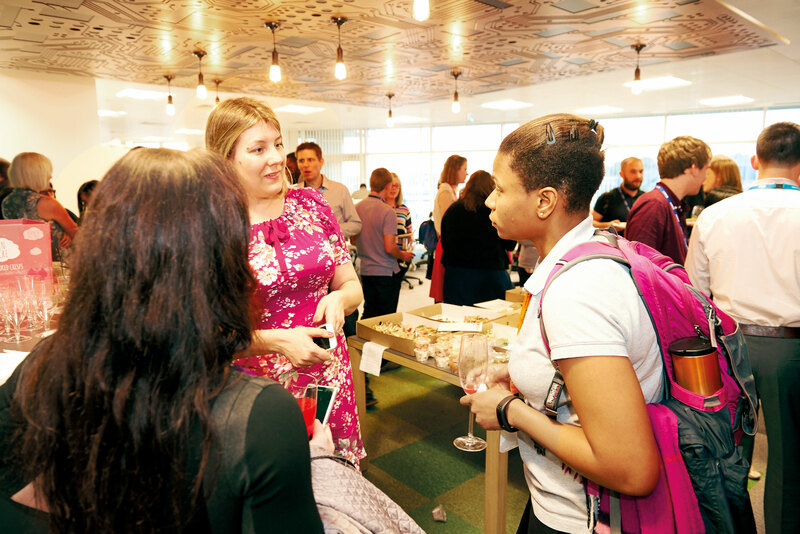 After maternity leave, I was moved to a more senior role, so that wasn’t a barrier to progression. What are your tips for handling time away from the business? Having a great relationship with your boss and senior colleagues is important. The right conversations before, during and on your return to work make sure everyone is clear on your ambitions and where the opportunities lie. Ensure time is carved out to discuss your career development. Another aspect is building relationships across the entire business and wider industry: by being yourself in a job you enjoy, you are able to develop a group of peers to get feedback from and use as a sounding board. How has your work-life balance changed? Obviously, having a family does change your work-life balance, but being flexible and knowing the things you don’t want to compromise on helps. For example, when returning to work (into a global role), I didn’t want to be travelling lots, so it was agreed the role wouldn’t be travel-heavy for a certain period. Equally, with new ways of remote working, I know I can catch up on work and not feel guilty about having to leave on time. How have you adapted your behaviour because of your experiences? I’ve learnt the importance of having a good role model; at Sky, I have tried hard to make sure I can be that person. This means making time for people’s career development, having an open-door policy and mentoring colleagues across the business. Are there areas you have had to work harder at than others? There are different ways of approaching areas you struggle with. I’ve mentioned building a good support base is important and, to be honest, conference "networking" isn’t my favourite thing. I found it beneficial to get involved in trade associations, the Advertising Association’s Media Business Course and groups such as Wacl, whose focus is on helping women in our industry succeed. You discover people you get on with and it’s surprising how quickly your circle of contacts grows. How are you getting involved to help women in business? As well as doing my own bit with my teams and Wacl, I’m really proud to be involved in Sky’s Women in Leadership Programme and the IPA Women of Tomorrow Awards. Sky is committed to attracting and retaining the very best talent. So what is the current representation of female leaders at Sky? Sky is currently building on a strong foundation; a third of our leaders are women. 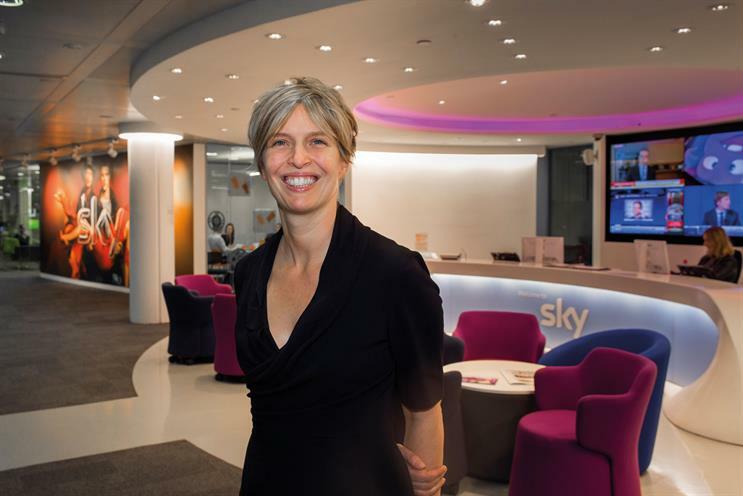 The overall aim for Sky is to have a totally gender-balanced team within the top 400 leadership roles. We believe having a team that reflects our customers and society leads to better business. To us it’s common sense, it’s hiring the right person for the right role but levelling the playing field so more talented women can succeed. We are aware that some areas are more unbalanced than others so we designed our strategy taking this into account. What are Sky’s future plans in making women a bigger part of the leadership team? We have strong plans that involve 50/50 balanced shortlists for senior positions and optimising job descriptions to reduce the risk of women self-selecting themselves out of roles. And has the whole company bought into the programme? Absolutely. The initiative is supported across the business from the top down, starting with the chief executive, Jeremy Darroch. The 12-month Sky Women in Leadership Sponsorship and Development Programme helps by enabling our best women to go further, faster. This programme involves senior executives working with high-potential talent to help them build skills they need and support them in taking on management roles in the company. Sky really encourages people to work smartly. Creating an environment which is flexible and supportive is vital to create that balance between home and work life. Sky’s aim is to build our reputation as an employer of choice for women.